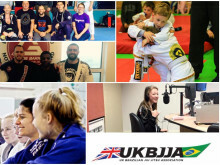 Featherweight BJJ athlete Kat Hill is heading to the IBJJF European Championships this week thanks to her hard work to be named as the UK’s top ranked female purple belt and a sponsorship package from the UKBJJA (UK Brazilian Jiu Jitsu Association). 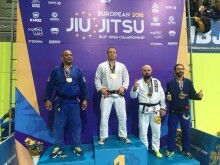 The purple belt who trains at Carlson Gracie London was named as one of ten of the top ranked BJJ athletes in the UK in December and was soon offered the chance to compete at the biggest competition of the year, courtesy of the UKBJJA. Kat told of how she has been preparing for the day: “I generally train pretty hard anyway, work allowing as I lecture full time at UEA (University of East Anglia), but I have been getting in as much mat time as possible. I’ve been doing double sessions in the evenings and extra drilling with my training partner Hannah Jell, perfecting everything I want to try and use in Lisbon”. Discussing the rest of her training regime, Kat said: “I do a lot of cardio and weights in the run up to a big competition, including 5-10 kilometre runs with hill sprints, kettle bell sessions, weights, swimming, HIIT training and rowing. I find trying to vary the strength and conditioning as much as possible really helpful. I have also been doing yoga, which is a lifesaver for preventing injuries and stretching everything out”. 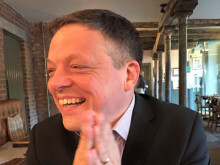 Originally from Shrewbury, the Londoner previously had a love for dancing for 16 years and rowed at school and university, as well as playing county hockey. 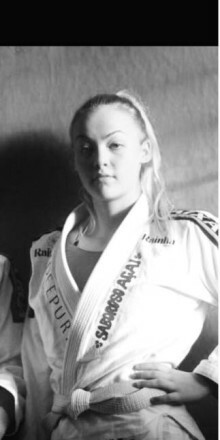 Kat has been training under head coach Dickie Martin at Carlson Gracie London for six years, taking breaks only for a PhD submission, and told of why she loves BJJ: “The best thing is for me is the people. The gym has been my sanctuary and BJJ has always been there for me, especially this year which has been really difficult for me personally”. This year is the fourth time Kat has competed in the Europeans, having previously returned home with a bronze at blue belt in 2014. She told of her experience so far at the high level event: “In 2012 I competed as a new blue belt, won one fight and then lost the next. In 2014 I won four fights to get a bronze at blue, competing after flying in the night before from a job interview in Chicago. I lost to the European, Pan American and World Champion. Last year I competed for the first time at purple and choked a girl unconscious with the signature Carlson Gracie Simon Hayes smash pass, but then lost in the quarter finals”. Learning from her past fights at the competition, Kat said: “You need to ensure you get enough rest beforehand, warm up properly, fight your game and pace yourself. And never underestimate anyone”. Speaking of her idols within BJJ, Kat commented: “I admire the big names of course, but to be honest the main inspirations are my fellow teammates who compete and train. Our awesome team has some upcoming young stars including River Dillon and Mabast Hussein. 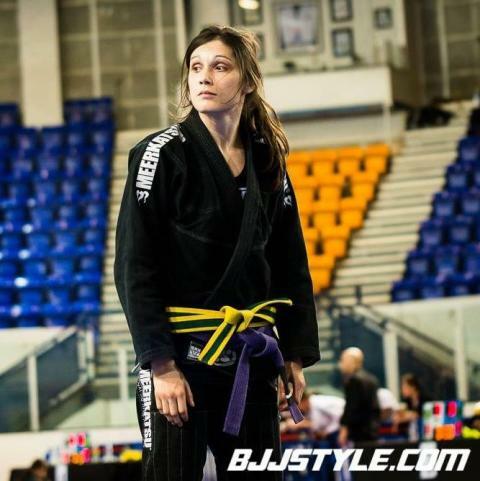 Sarah Merriner heads up a fearsome women's team in London, won the Euros last year at brown and is competing as the first female Carlson Gracie UK black belt this year. Of course also my head coach Dickie Martin who won double gold at the World Masters in 2014”. Kat was sponsored for much of her competitive career by Meerkatsu, but this year decided to take the full package from the UKBJJA. Her medal count of 2015 includes double gold at The British Open, gold at The British National Championship, two golds, a silver and a bronze at The London Open and a bronze at the World Master Championship. Commenting on the competitions she attends, Kat said: “My favourite competition of 2015 was The British Open for sure. Winning double gold in front of my head coach and the students I teach at the gym I run in Oxford was pretty special”. Kat runs and teaches at Carlson Gracie Oxford, a gym which she started in 2014 and whose head instructor is Sam Gibson, and published her first book in 2015. 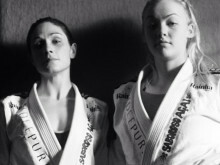 The 31-year-old notes that her biggest achievement in Jiu Jitsu to date is winning bronze at the Mundials in 2014, saying: “I would have preferred a gold but it was a great experience and coming home, alongside River's silver, with the first Mundials medals for the Carlson Gracie UK team ever was pretty special. I can't wait to go again”. When asked why she competes, Kat said: “Competing pushes me to train hard and improves my game more than I ever thought possible. Anyone who knows me, knows I hate to lose. But I love to win and that's why I compete”.